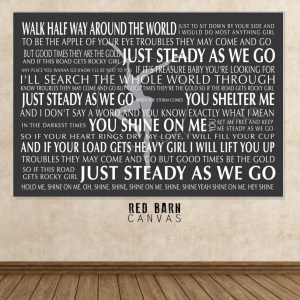 Your Favorite DMB lyrics on Canvas. Designed as shown in your choice of color. A fun and easy way to watch them grow. 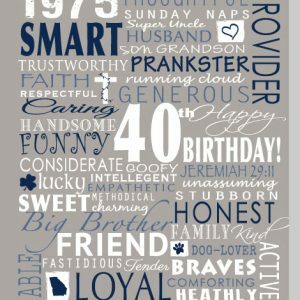 Personalize your growth chart with a name and birthdate, or special quote. 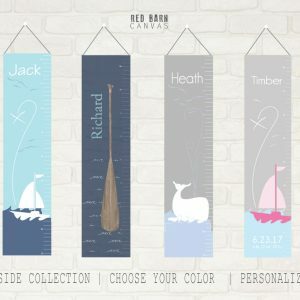 Our charts are designed with a simple and modern flair to coordinate with their room from baby stage to tween stage. Several designs and colors available. design proof emailed within 24 hours. 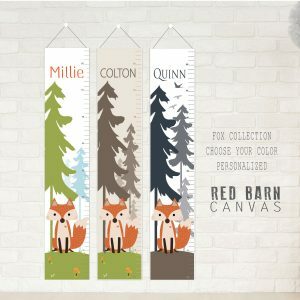 Our FOX Chart is shown in 3 color combos (Green / Brown / Blue) If you’d like to see a new color option or trying to match a room color just let us know. The day you will never forget – the words you promise to live by. A sweet and romantic gift for the couple, this set makes a great first wedding anniversary gift, Second (Cotton) Anniversary or 50th! 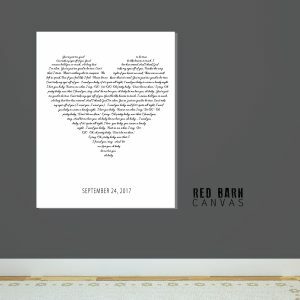 This is a custom canvas designed with your wedding vows or list of what you love about each other. This was originally a custom order but we got so much love for it we decided to keep it around. 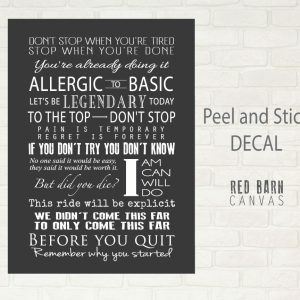 Keep your motivation front and center with this motivational gym wall decor. This is designed as shown in your choice of color. No additional costs for changes – If you have a phrase that fires you up just let us know we are happy to make slight wording changes to create a custom piece. 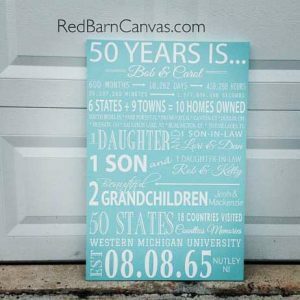 This canvas is designed for that special couple celebrating their BIG wedding anniversary. 60 years is 525,600 hours, 21,900 days… etc. We will work with you to design a one of a kind personalized canvas based on their years spent together. 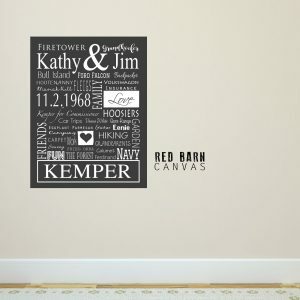 This is our most popular item and a RedBarnCanvas signature piece. What makes your family special? This is a Canvas Family Story Board, custom made using your family information. Perfect tribute to your family and fun to give to the newlyweds just starting out or parents & grandparents. Info can be anything you want to include. From basic stats to inside jokes, favorite quotes, special memories, pets, destinations, etc.. Details: printed on our signature high quality canvas removable wallpaper decal. 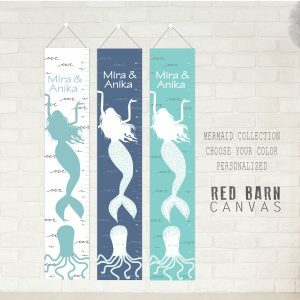 FLAT unframed canvas print peel and stick decal. Fade resistant archival inks. All prints and posters are full bleed and trimmed to size – making it a breeze toss in your favorite standard frame or stick it right to the wall. 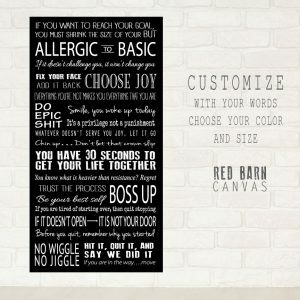 Your Words + Our Design = One of a kind Canvas Wall Art.